Make your own seed-starting mix: it’s soooo easy! My heirloom tomato seeds get their own cute little box. This post was updated in March 2016. Do you plant a garden every spring? Are you a member of the Crazy Garden Folks Club? (Newsflash: I am a card-carrying member. :)) Do you buy seeds from catalogs during the winter’s grim hold on the earth, and then do a wild happy dance that confuses and bewilders your family when they arrive in your mailbox? Do you drop everything when they come (coyly sent in an anonymous brown padded envelope), brew yourself a cup of tea, take the ‘phone off the hook and settle down in your favorite chair to study the seed envelopes, one by blessed one? 🙂 If so, you are my people! Do you tire of winter long before it’s finished with you, and ache for spring the way a starving man hungers for bread? Furthermore . . . do you eschew most of the plants offered at the stores (most, not all–I’m going to head out and buy pansies and violas this week), preferring to grow your own from the infinite number of choices available in catalogs that fill your mailbox with hope from about Thanksgiving onward? But wait! Have you discovered how easy it is to grow your own seedlings on your own windowsill or under a few scrounged shop lights hung from the ceiling in an out-of-the-way spot in your house? If so, maybe you’ve noticed the surprisingly steep price of the seed-starting mix you can buy. If you grow more than a few seedlings for your garden, it’s very expensive to buy the pre-made stuff. But that’s no problem if you know how to make your own! Lovely, lovely seeds . . .
Make your own seed-starting mix: it’s fast, easy, and much cheaper! Don’t use regular garden soil. 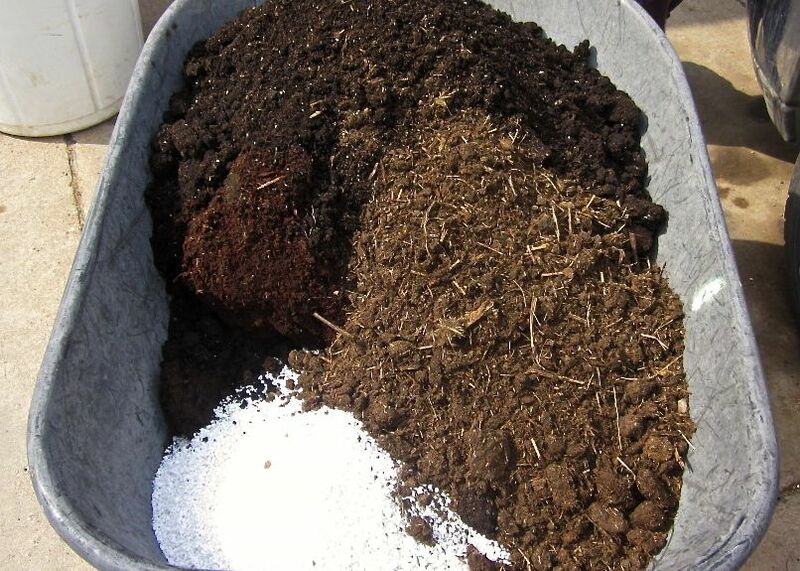 Don’t use potting soil with fertilizer in it. 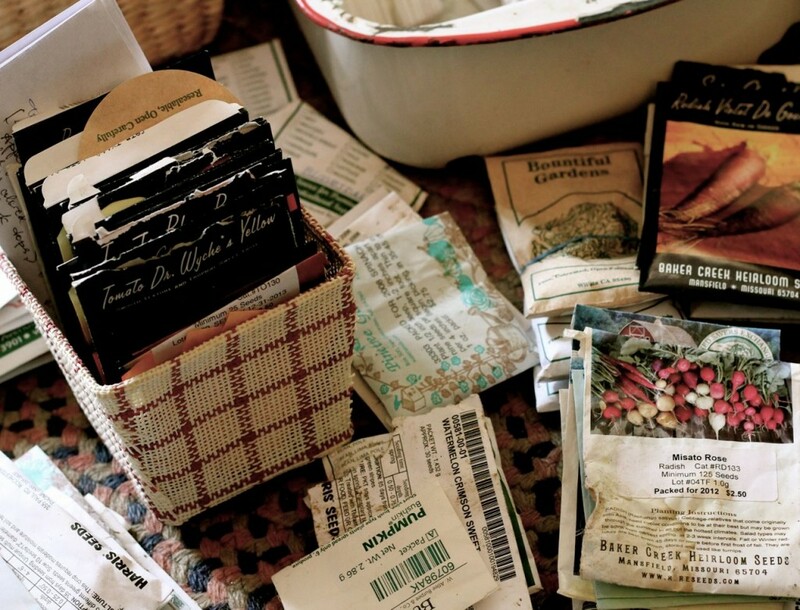 I was making my own seed starting mix for years before I ever thought about writing about it. I’m a self-proclaimed tightwad, and if I can save a bit of money by mixing my own seed-starting mix in a few minutes, in a wheelbarrow in the garage, I’ll do it. And so, I do. You can mix your own, too. And at the end of the growing season, if you have a few pots of leftover plants that you’re going to toss, or a houseplant that perished, you can toss the potting soil from those pots into your bin of seed-starting mix. No problem. 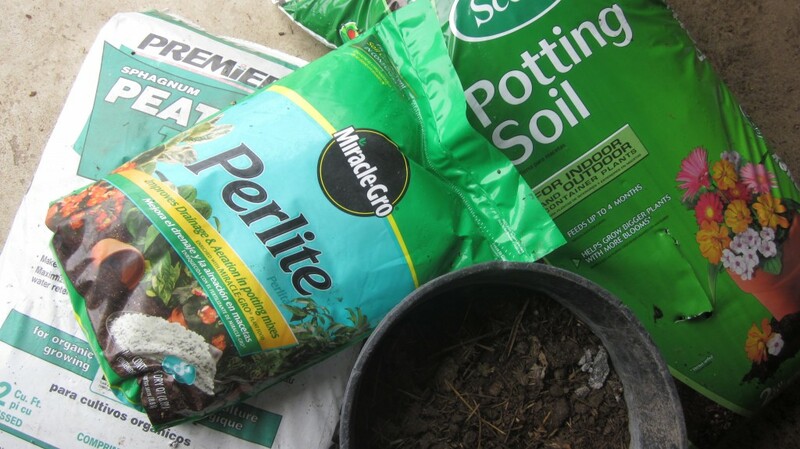 Here are the raw ingredients for my seed-starting mix: peat moss, potting soil, perlite, and well-aged manure or compost (in the bucket). One reason, of course, that so many small growers mix their own seed-starting mix is the same one that they have to grow their own vegetables in the first place: they want to have control over the food that they grow (and ultimately–eat!!). Mixing your own starting mix gives you control in one more area of your life. You don’t have to run to the store every time you want to plant a few seeds. So here’s the recipe for my mix that I make year after year: if you mix your own, eventually you’ll probably tweak it and eventually make your own additions. You may not follow me blindly, just as I don’t follow anybody else blindly, and this is perfectly okay. Think for yourself, say I! Be bold! Live outside the box! Make your own choices! On a beautiful, sunny, mild day here in Nebraska earlier this spring, I was (honestly) looking for something to keep me out of the house as long as possible. I took a few pictures. I watched the kids do some archery practice. And I mixed up my seed-starting mix. Are you ready to mix up your own? Here we go . . . !! On a still day, dump all these things into a very large tub or a wheelbarrow and wet it all down with a hose, stirring it with a rake until it’s mixed well. 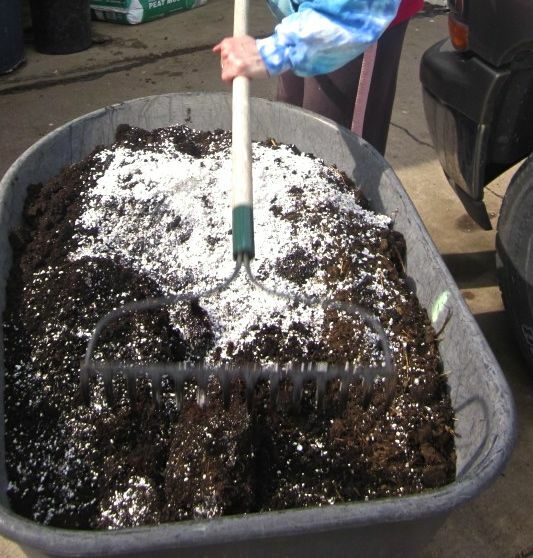 You want your seed-starting mix to be very light, so it drains properly for your seedlings. There ya go, Gentle Reader! 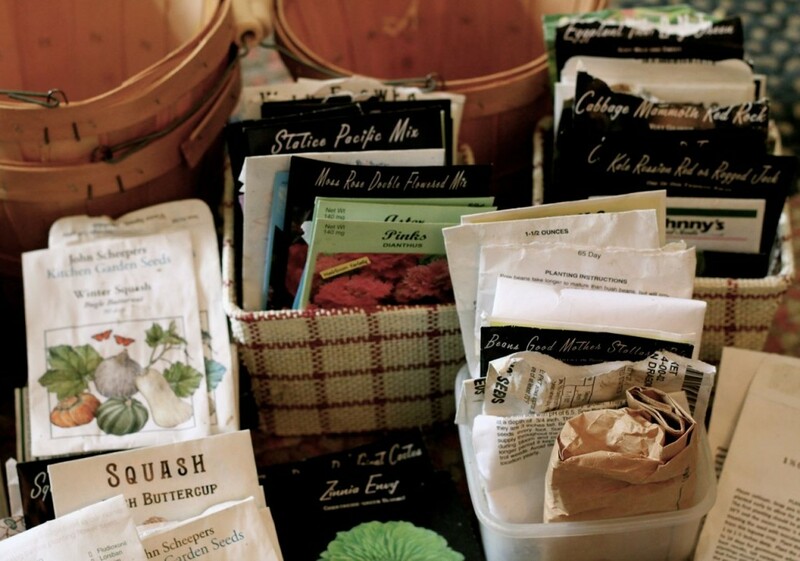 It’s so easy to make your own seed-starting mix, even easier (dare I say it) than making pie. And that’s pretty doggone easy. Once it’s mixed, I fill my trays (for starting seeds) with it, and in supreme happiness, drop my little Seeds of Promise into their spots. If I have any mix left over when my seed-planting is complete, I’ll dump into a big trash bin and guard it zealously for any further seed-starting adventures I may have later in the spring. Isn’t life a sweet and beautiful thing? And a garden makes it even sweeter, doesn’t it? I don’t have a garden but I do have pots and a patio. So I’m going to make me a little seed-starting mix using your directions & grow me some vegetables this summer. Thanks for the tips! Thanks, Shelli! Good luck with your planting—have fun! You go, girl! Have fun making your patio garden. You can grow lots on a sunny patio, in pots, especially herbs and lettuces and such. Have fun! Isn’t it exciting to think about growing new plants. This is the real joy of spring. Won’t be long. You look so earnest, mixing your starter soil. May you achieve wonderful sprouted plants. 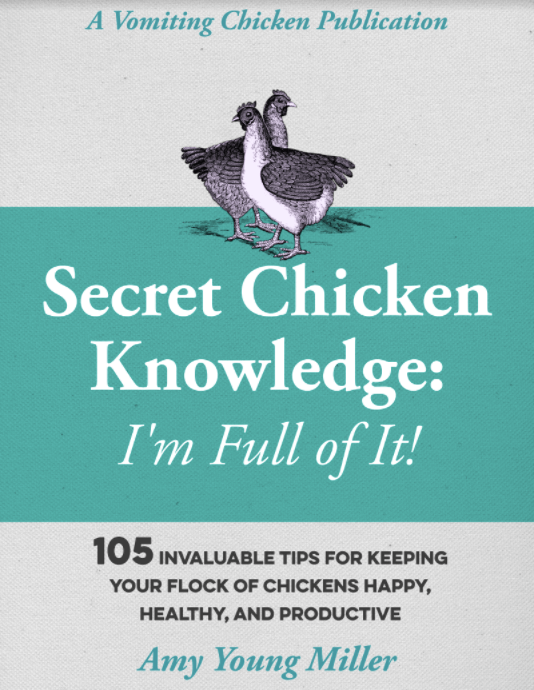 Not only is this useful, I found it tremendously entertaining. I love how you built spring excitement in the beginning, threw in a tidbit about the kids, and included photos of the different steps. It encourages me to step outside my box a little bit! Thanks Emily! 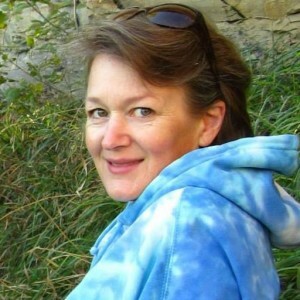 I enjoy your blog, too! That is a great idea, I do hope it saves money because my wife loves to buy potting soil and pots. You can make a lot of this starting mix for not much cash, Chef. It ought to make your little wife very happy! Goog luck with it, Anita-Clare!